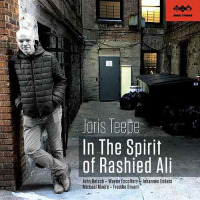 A native of The Netherlands, bassist Joris Teepe has long since established himself as a jazzperformer and educator in New England, though he does return to his homeland to teach and perform on occasion while most of his recordings have been for European labels. 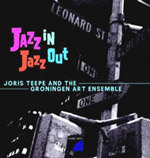 Teepe's big band evolved from music he was commissioned to write for the North Netherlands Symphony Orchestra, which his quartet joined for a concert. 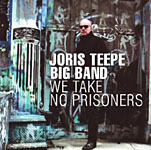 Following a guest appearance with the Radio Big Band in Bucharest, Teepe rescored the symphonic music for a 17-piece big band. The bassist's originals prove to be a varied lot, creating a well-paced set that should inspire jazz students who want to become bandleaders. The hard-charging, complex and bluesy title track sizzles with powerful solos by baritone saxophonist Jason W. Marshall and a delicious bluesy muted trombone (who isn't identified), powered by the driving rhythm section. The haunting modal "Almost Lucky" opens with guitar and cymbals alone, reeds and brass reappearing in-wave like fashion in the background, with the late drummer Rashied Ali appearing as a guest. The snappy "It is Peculiar" sounds like it could have been conceived for the Thad Jones-Mel Lewis Jazz Orchestra, a swinging chart with loads of call-and-response between sections. 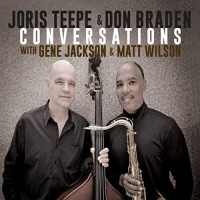 Teepe introduces "The Princess and the Monster" unaccompanied, a breezy, multifaceted extended work showcasing tenor saxophonist Don Braden and pianist Jon Davis with colorful, whimsical brass and reed backdrops. Although it would have been nice to have had the soloists identified in Teepe's liner notes, this is a very satisfying modern big band recording. Track Listing: Flight 643; We Take No Prisoners; Peace on Earth; Almost Lucky; It is Peculiar; The Princess and the Monster. 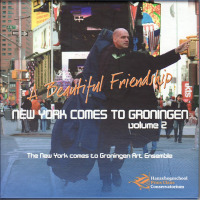 Personnel: Joris Teepe: bass; Gene Jackson: drums, cymbals; Jon Davis: piano; Bruce Arnold: guitar; Mark Gross: saxophones, flutes, clarinets; Craig Bailey: saxophones, flutes, clarinets; Peter Brainin: saxophones, flutes, clarinets; Don Braden: saxophones, flutes, clarinets; Stacy Dillard: saxophones, flutes, clarinets; Jason Marshall: saxophones, flutes, clarinets; Noah Bless: trombone; Dion Tucker: trombone; Stafford Hunter: trombone; Earl McTyre: trombone; Michael Philip Mossman: trumpet; Vitaly Golovnev: trumpet; Josh Evans: trumpet; John Eckert: trumpet; Rashied Ali: drums.